Once again the Iranian community will be hosting Nowruz at Midnight Mission on March 17, 2017. Our festivities will kick off with our Nowruz celebration. We are looking for volunteers for that day. 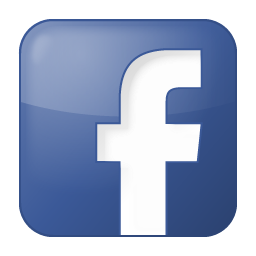 from 3-6 p.m. at The Midnight Mission, 601 S San Pedro St., Los Angeles. 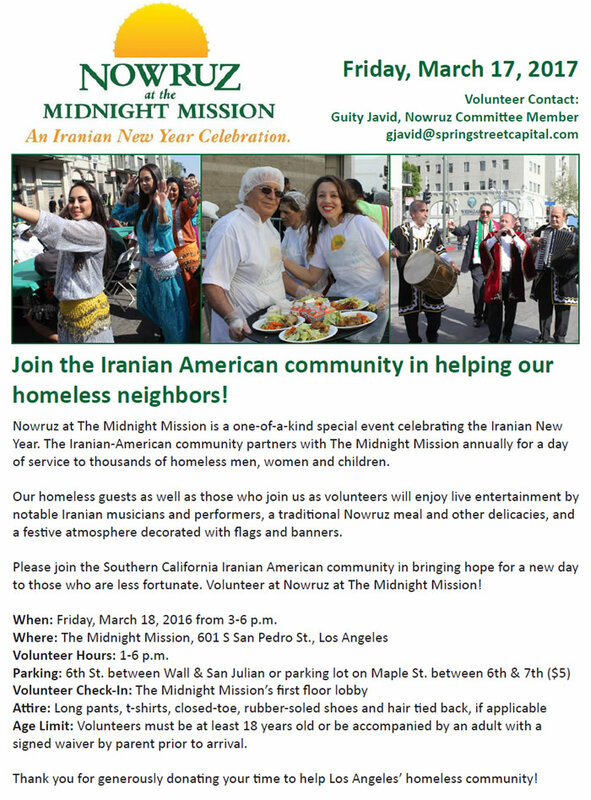 The festive outdoor event will bring together the homeless community on Skid Row in Downtown Los Angeles with Iranian American volunteers on Friday, March 17th, from 3:00 pm to 6:00 pm. Last year, more than 150 volunteers participated in the Nowruz celebration at The Midnight Mission, resulting in more than 2,000 meals served and 4,000 articles of clothing distributed. Hundreds of volunteers, Iranian celebrities and local leaders are expected to join in this year’s celebration. The event will feature a traditional Nowruz meal of Iranian delicacies, as well as live musical entertainment and performances by dance ensembles. In keeping with the Nowruz tradition of gift giving to the family at the New Year, a selection of clothing and toys will also be donated to each person in attendance as well. Age Limit: Volunteers must be at least 18 years old or be accompanied by an adult with a signed waiver by parent prior to arrival.